Have you ever set up camp next to someone and marvelled at their impressive camper trailer and camping setup? Observing with envy the perfect camper trailer for Australian conditions and left wondering how to get your hands on such a versatile and handy piece of equipment? 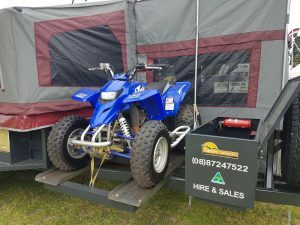 Well now you can get that perfect setup yourself thanks to Sunset Campers timeless range of camper trailers for sale or hire at highly competitive rates. Our acclaimed and highly durable range of camper trailers will help you to set out on that Australian adventure in no time at all. If you’re looking for quality camper trailers for sale or hire then Sunset Campers is a one stop shop. Our dedicated staff will ensure that you find the most suitable camper trailer to start out on your journey across Australia. Sunset Campers started manufacturing On & Off Road all Australian made campers over 14 years ago. New management has now taken over Sunset Campers, but the tradition of quality workmanship and customer service continues. Our product has been proven time and time again throughout the most extreme rugged conditions. Buy camper trailers directly through us, the supplier, and save. Sunset Campers is a small Australian business who take pride in manufacturing quality built campers and providing good old fashioned service. Our low overheads enable us to produce a top quality product at a very competitive price as you are dealing directly with the manufacturer (no middle man). 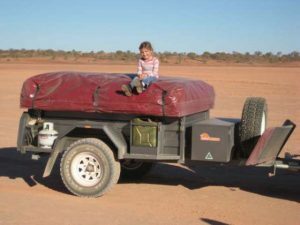 All Sunset Camper Trailers are 100% Australian made, including extra heavy duty 15oz Aussie made canvas (no import tents). Sunset Campers are built to a standard, not just a price. We offer a 2 year warranty on our campers, ensuring you hassle free camping and peace of mind, knowing you are backed by a company that loves Australia’s great outdoors as much as you do, after all we are campers too. Always remember quality remains long after the price is forgotten. Our camper trailers are Australian made and built tough with extra strong chassis,’ perfectly suited for rugged Australian conditions.The gorgeous landscape of this great nation is just waiting to be explored and the long distance road journey is a right of passage for Australians of any age. For this type of adventure there is no reason to skimp on quality. One of our Australian off road camper trailers will give you peace of mind while on the road undertaking your life-changing road journey. It is rare that you’ll find another more committed business providing purpose-built off road camper trailers anywhere else in Australia. Whatever your purpose, or wherever your destination, we guarantee you’ll find the right trailer for the journey. Explore the rugged terrain of Central Australia or the far north without fear of defeat by the elements.